Two women, one mission: to share their ultimate collection of decadent sweet pies in all their bubbling, fruity, caramelized, and buttery glory. Pies are very forgiving desserts for bakers: you can use imperfect fruit, play around with lattice designs, and make them in whatever you have handy, from skillets to enamel bowls â€“ while spillages are an opportunity for more caramelization and a misshapen pie just adds to its character. 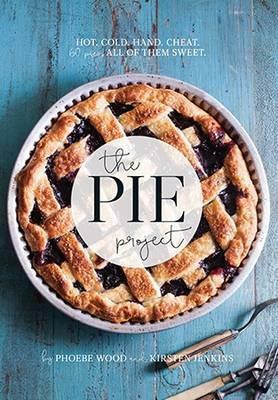 The Pie Project ensures that all skill levels and palates are catered for through four stunningly photographed chapters of recipes. From hot pies to cold pies, single-serve pies that can be eaten by hand, and a 'cheats' chapter that offers handy, quick recipes to fulfill your instant desires, The Pie Project is out to convince the world that pie really is the ultimate answer to any sweet craving.